Where The Best Books Are! : 18. Animals in Motion. Two Pop-Ups. 18. Animals in Motion. Two Pop-Ups. 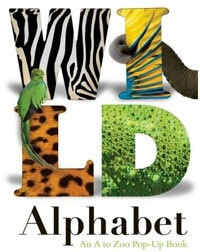 Wild Alphabet: An A to Zoo Pop-Up Book, by Mike Haines and Julia Frohlich, Kingfisher, $19.99, ages 3 and up, 52 pages. Twenty-five animals and one little insect play peek-a-boo with readers in this delightful alphabet pop-up that's small enough for a child to hold. Every letter is paired with a creature whose name starts with the same letter. On the right of each spread is an image of the letter and the creature popping up or sliding around each other, and to the left is a photograph of the same creature and a brief write-up about its behavior. Each description is written to sound like it's coming from the animal itself and highlights a word in playful type that epitomizes what this animal does best. For Hippopotamus, the word is "wallowing," and the type waves about on the page. Every page brings a fun and unexpected surprise sure to widen eyes, beginning with A for Antelope. As you open this spread, a bold letter A splits opens from its center like a door and the head of this long-legged beauty rises to you. In another spread, a chinchilla scrambles around an exercise wheel, revealing a C behind the rungs, and in my favorite, J is for Jaguar, a sleek black cat slinks out from behind the J, just far enough to look sneaky, and make your insides tingle (and giggles spill). 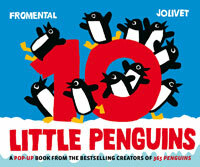 10 Little Penguins: A Pop-Up Book, written by Jean-Luc Fromental, illustrated by Joelle Jolivet, engineered by Bernard Dulsit, translated by Amanda Katz, Abrams, $17.95, ages 4-8, 24 pages. From the French team that created the hilarious, oversized picture book, 365 Penguins, comes an adorable pop-up countdown. Ten penguins playing on the ice disappear one by one, but no worries, this isn't because their home is shrinking. Each is slipping out of the scene just for kicks and will reappear under an iceberg at book's end. Fromenthal's rhymes are a delight as he takes readers through playtime mishaps, beginning with penguin # 10 who's bowled off the ice into the brine and continuing to #1, who (chilled to the bone) hops a bus for Valparaiso. Jolivet and Dulsit punctuate each humorous verse, first setting up each playful scene then bringing on the mishap with a quick turn or pull of a tab, like penguin #9 getting swept into the water by a whale's tail and penguin #5 twirling under the ice while making figure eights. This is a book to be read and viewed sideways, again and again and again. "Please, Mom, just once more?" UK Children's Laureate Julia Donaldson has created a website to help teachers make dramas out of picture books! Get tips on finding the right story, making sound effects & more! For details, click here. "Acting is very good for children's self-confidence and for stimulating their imaginations and for many, it can be a great root into books and reading," Donaldson says. While vacationing at the beach, a toy action figure and his loyal pet are mistaken for flotsam and carried off to a dolly's sand castle. Will the duo ever do valiant deeds again? Or will they play dress-up forever? Another hilarious adventure starring Traction Man and Scrubbing Brush by Mimi Grey. Alfred A. Knopf, $16.99. Playful poems that celebrate the ocean & illustrations that lap against your fingers as you read. By Kate Coombs & Meilo So. Chronicle, ages 4-8, $16.99. Read a Book. Give a Book. Put a new book in the hands of child just by reading one! Go to We Give Books, select a children's book to read online, then choose a charity from the list provided. After you read, We Give Books will send the charity a book. It costs you nothing -- only the time it takes to read a book. The project, sponsored by The Pearson Foundation, Penguin and DK, so far has donated 934,682 books! 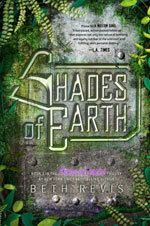 A new post every day to Earth Day, April 22.. This April, Where the Best Books Are! passed out 20 free copies of Orson Scott Card's award-winning Ender's Game in Colorado's poorest neighborhood as part of World Book Night. World Book Night is an annual worldwide event sponsored by book publishers and sellers, and is aimed at spreading the joy of reading among people who never read or rarely pick up a book. Where the Best Books Are! requested Sun Valley Youth Center as its giveaway location, and was one of tens of thousands of volunteers selected to pass out books. A small act of love blooms into a magical gift in this lovely collaboration by Amy Krouse Rosenthal and Peter H. Reynolds. Harper, $14.99, all ages. A charming collection of stories about a plucky little girl and her best pal Bear. G.P. Putnam's Sons, $16.99, ages 3-5. Bookspeak! Poems about Books. Whimsical collages and type combine with clever rhymes in a wondrous ode to books. In one poem, a character pleads with readers to liberate him; in another, an Index competes with the book cover and Table of Contents for the reader's attention. Laura Purdie Salas (Stampede!) humanizes everything from the middle of story, as it laments that it never gets to go first, to a checked out library book that feels like it's gone on vacation. My favorite: "The Sky is Looming" about a book getting squashed by a head: "I'm buried under cheek and drool / and hair three inches deep. / My reader drifted close, then far, / then gently fell asleep..." Charmingly illustrated by Josee Bisaillon, Clarion, $16.99, ages 4-8, 32 pages. Help Ringgold Reads restock their upper-grade libraries in Georgia after the devastating tornadoes of April 27. Buy a book or make a donation. Help Uprise Books Project get challenged books into the hands of unprivileged teens. Join the Kickstarter campaign here. Booktrack releases e-books with soundtracks to help boost readers' imagination and engagement. Watch a sample of The Ugly Duckling here. Got a layover? You have to get this. Bring along a glue stick and the wait will be bliss. Workman, $16.95, ages 7 and up. Rick Riordan wins Author of the Year and David Wiesner takes Illustrator of the Year in the 4th annual Children's Choice Book Awards. Riordan wins for The Lost Hero (The Heroes of Olympus, Book 1) and Wiesner for Art & Max. Other winners include Johanna Kerby's Little Pink Pup, Jarrett J. Krosoczka's Lunch Lady and the Summer Camp Shakedown, Riordan's The Red Pyramid (The Kane Chronicles, Book 1) and John Green and David Levithan's Will Grayson, Will Grayson. A record breaking 500,000 votes were cast in the only national book awards selected by children. Where the Books Are! has adopted Fairview Elementary School as its first-ever "School in Need" for 2011. As extra books accumulate over the year from reviewing, I'll box them up and bring them over to help fill empty shelves in the school's library and classrooms. If you'd like to join me in helping this wonderful school, please send me a message here. "Wishes are slippery things. You have to be very specific or you can get exactly what you wished for and still end up with nothing." "Treat yourself with respect and ignore people who don't treat you with dignity." "I will respect the tree and not throw away his pieces." Need just the right book? I'd like to help! Email me your questions and I'll select them to answer in this feature. Q. I want my 6-year-old to get excited about reading but I'm having a hard time wading through all of the readers, knowing which ones are better than others. Are there some series you'd recommend more highly than others? A. My three boys have been a great testing ground for early readers, and I can tell you from experience that the books that engaged them the most were funny in a way they could appreciate. Mo Willems' Elephant and Piggie Books (Hyperion Books for Children) are brilliant. My youngest laughs out loud as he reads them and gets a charge out of saying sound words like "Oof!" that help break up the new words he's learning. We're also big fans of the Toon Books, including the Theodor Seuss Geisel Honor-winning Stinky. Published in a cartoon format, the books are funny, easy-to-read and wonderfully quirky. Other stellar books include Kate DiCamillo's Mercy Watson Books (Candlewick Press) and the hilarious new Max Spaniel series by David Catrow (Orchard Books). Tom Lichtenheld says good-bye to political mud-slinging and suggests a new bipartisan mascot, the "Giraffe of National Unity," in his latest blog art. Lichtenheld is the illustrator of Duck Rabbit! & Goodnight, Goodnight, Construction Site. For more books by Lichtenheld, visit Chronicle Books. Have a question? Click Email. in honor of the late astronaut. Little Treasures, Endearments from Around the World. Children bat their lashes and giggle in delight, in this sweet ode to terms of affection by Jacqueline K. Ogburn. Illustrator Raschka captures the subtlety of a child's expression -- from a shy glance to a beguiling look -- all with loose, spare brush strokes. Houghton Mifflin, $16.99, ages 4-8, 40 pages. I Don't Want to Be a Pea! Hugo the hippo wants to be a princess for the Fairy-Tale Fancy Dress Party and tells his best friend Bella the bird that she should be a pea. But that isn't fair. Bella doesn't want to be a little round vegetable, and in no time the two are storming off in opposite directions. Talk about two peas in a pod! Could it be that a few costume alterations could make them both happy? An adorable tale about compromise, written by Ann Bonwill and illustrated by Simon Rickerty. Atheneum, $14.99, ages 2-6, 32 pages. Heart and Soul. Caldecott winner Kadir Nelson writes like a man who's weathered life and now sits on his porch recalling how things once were, in this marvelous history of the African-American experience. Equally compelling are his portraits: faces etched with hardship, yet glistening with determination. Balzer + Bray, $19.99, ages 9 and up, 108 pages. Sammy in the Sky. A girl reflects on all the things she loved about her late dog Sammy, then celebrates his life by blowing bubbles into the sky. As the bubbles float up on a breeze, a cloud that looks like Sammy seems to bound across the sky after them. "I love you, Sammy!" she yells to the cloud. "You're still the best hound dog in the whole wide world." A beautiful, reassuring story about coping with a lost pet. By Pulitzer Prize-winning journalist Barbara Walsh, paintings by Jamie Wyeth, Candlewick, $16.99, ages 4-7, 32pages. The Green Mother Goose, Saving the World One Rhyme at a Time. Mother Goose favorites are repurposed into catchy green rhymes, in this clever book of whimsical poetry and collages. On one page, Jack Be Nimble turns off the tap; on another, readers chant, "One, Two, We Can Renew." By Jan Peck & David Davis, illustrated by Carin Berger. Sterling, $14.95, ages 4-8, 32 pages. The Art of Disney Epic Mickey. The creators of the groundbreaking 2010 video game Disney Epic Mickey explore how it came to be, in this lush coffee table book filled with concept art, designs and in-depth analysis of the game. By Austin Grossman, with a foreward by Warren Spector. Disney Editions, $40, all ages, 160 pages. Tallulah's Tutu. A little girl thinks she can become a great ballerina in just a few classes, but when she doesn't earn her tutu as soon as she'd like, she gives up trying. But will her love of dance call her back to class? By Marilyn Singer, illustrated by Alexandra Boiger, Clarion, $16.99, ages 4 and up, 40 pages. The Girl Who Never Made Mistakes. Beatrice thrives on being perfect until one day she makes a very public mistake, and discovers that it's okay to let go and laugh at herself. By Mark Pett & Gary Rubinstein, illustrated by Mark Pett. Sourcebooks, $14.99, ages 4 and up, 32 pages. Slightly Invisible, Featuring Charlie and Lola. Charlie and Marv have made an invisibility potion to look for sneaky creatures, and don't want to be bothered by Lola. Only now Lola's friend Soren Lorensen has gulped down most of the potion. Will they need Lola's help after all? 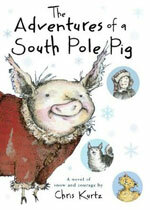 Written and illustrated by Lauren Child, Candlewick, $16.99, ages 3 and up, 40 pages. Tumford the Terrible. Tumford the cat is always getting into mischief and though he feels bad about it, he can't get himself to apologize for his mistakes. Then one day at the fair, Tumford gets into the worst trouble yet and discovers the wondrous effect of saying he's sorry. Written & illustrated by Nancy Tillman. Feiwel & Friends, $16.99, ages 3 and up, 32 pages. My Name is Mina And I Love The Night. Anything Seems Possible At Night When The Rest of The World Has Gone to Sleep. Mina McKee, the quirky, endearing neighbor girl from David Almond's highly acclaimed 2008 debut Skellig, journals about herself and the world around her in this lyrical, intimate prequel. By David Almond. Delacorte Press, $15.99, 272 pages. Read an early review from The Guardian here. Liesl & Poe: Locked away in the attic with only a sketchbook to keep her company, a lonely girl named Liesl looks to a ghost to help her escape from her cruel stepmother and lay her father's ashes to rest. Little does she know the box containing his ashes has been mixed up with one containing the greatest magic ever known. A tender, beautiful novel by bestselling adult author Lauren Oliver. HarperCollins, $16.99, ages 8-12, 320 pages. The Apothecary: Janie and Benjamin discover elixirs they never imagined could exist, as they embark on a dangerous quest to save Benjamin's father, a London apothecary, and prevent nuclear disaster. From award-winning adult author Maile Meloy comes a sparkling children's debut in which the extraordinary becomes possible. G. P. Putnam's Sons, $16.99, ages 9 and up, 365 pages. Paul O. Zelinsky's fantastic movable tribute to the nonsense song "This Old Man" will be reissued Sept. 29 with new cover art! Dutton, $20.99, ages 2-7, 8 pages. Read Zelinsky's essay on the making of this amazing book of flaps, tabs and wheels here. Stop by The Eric Carle Museum, a magical place that showcases picture book art from around the world. The latest exhibition (June 18-Oct 9): the work of author-illustrator Tomi Ungerer, "Chronicler of the Absurd." Among his acclaimed picture books, The Mellops Go Flying (1957), The Three Robbers (1962), Flat Stanley (1964) and Moon Man (1967). The beloved author of Howl's Moving Castle and the Chrestomanci series passed away March 26 in Bristol, England, after a long struggle with cancer. She was 76. Jones will be sorely missed. Read Neil Gaiman's tribute here. Ever roam a bookstore, wondering how you'll pick from all of the children's titles? Download bestselling author James Patterson's free Kids' Book Finder App here to help sort through all of the options. Awesome Adventure! Sweepstakes: Become an Awesome Adventure member at HarperCollins to play free games and be entered for weekly giveaways. Every time you complete a game as a registered member, you'll be automatically entered for a book prize and, in some cases, an IPod Touch or $50 Best Buy gift card as well. Among the books being given away, The Last Apprentice: Revenge of the Witch by Joseph Delaney, Seekers #1: The Quest Begins by Erin Hunter and Freddy! King of Flurb by Peter Hannan. For more details, click here. STACKS Book Club: Sign up here to receive emails from Scholastic's children's book club, STACKS, and be the first to know about Scholastic's newest books, celebrity videos, widgets and games. Those who sign up will also be eligible to win monthly sweepstakes. Delivery Day at Fairview Elementary! 2. A Book to Sing! 3. Up, Up and Away! 4. Read it Again! Two Worthy of Awards. 6. What a Scamp! Two Adorable Tales. 8. Do This! Two Craft Books. 9. Gifts from the Heart. Two Books. 13. Happy to Be Me! 15. Movie Magic. Three Books. 23. Mother Goose Returns! Two Books. 27. Two Classics That Pop! 31. What a Pair! Two Books of Friendship. 35. Where Do You Go?